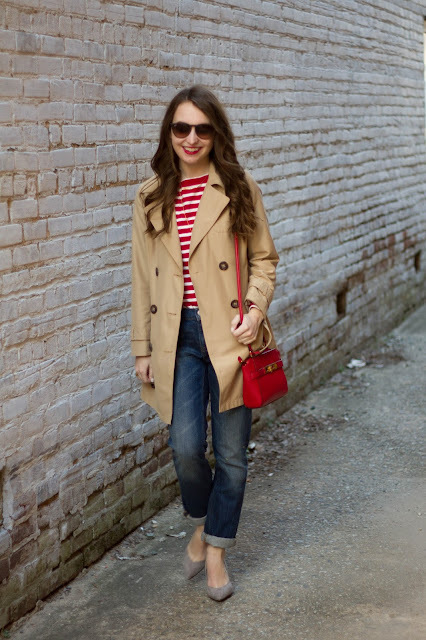 I have been wearing this trench just about everyday since I got it about 2 weeks ago. 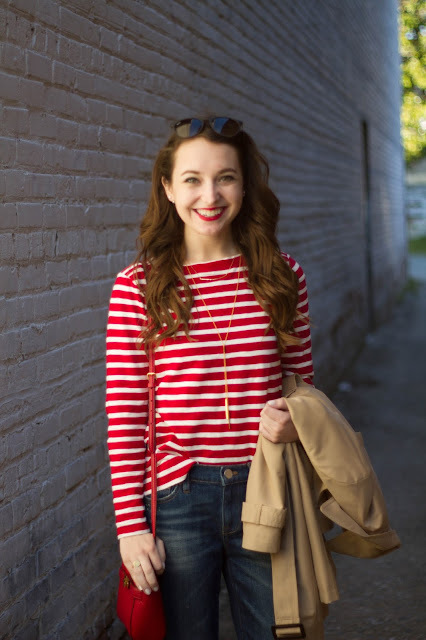 It goes with everything, and I think adds a lot to an outfit. I also bought these boyfriend jeans back in October, and I really haven't worn them that much, but they're so comfortable! 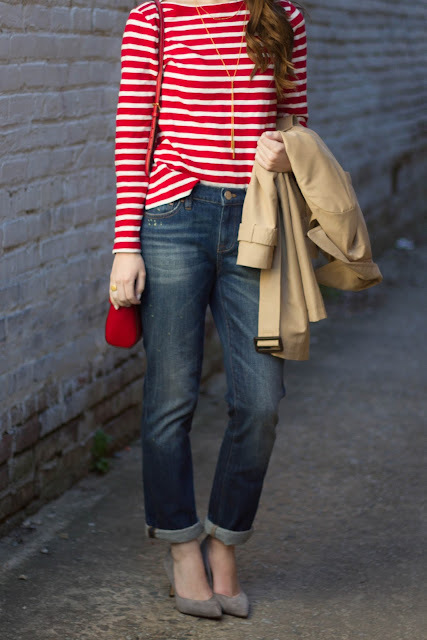 I usually only wear skinny jeans with boots, so I hope to wear them more in the spring. I've worn almost this whole look both to work and to Charleston a few weeks ago, it's even comfortable enough for a few hours in the car (minus the shoes, of course)! 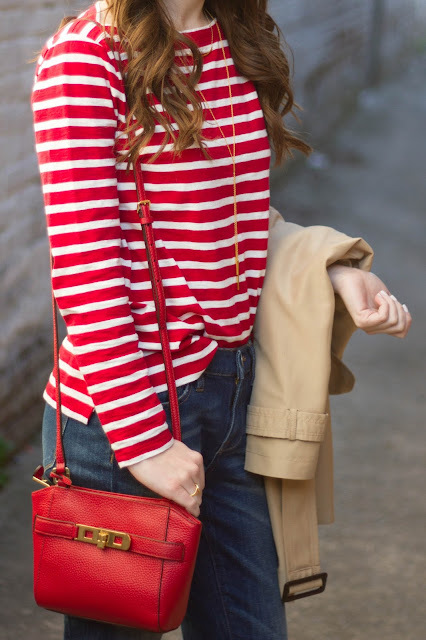 Perfect combo! 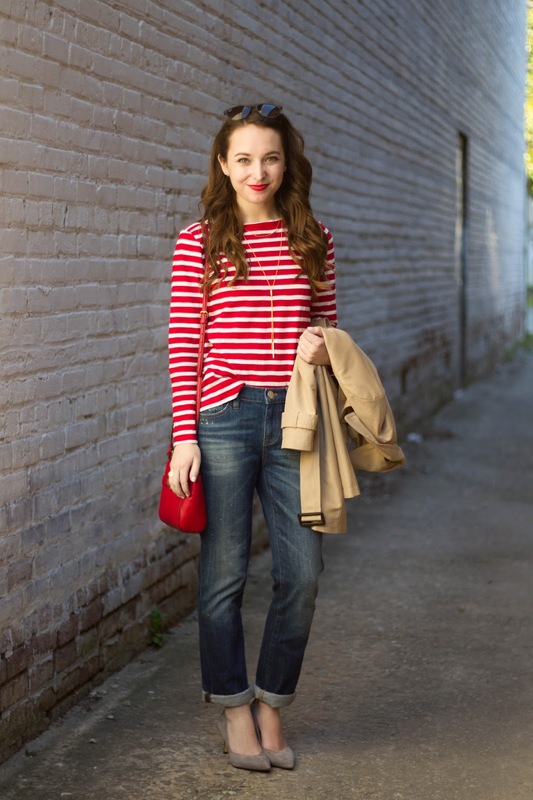 It's so chic and french! 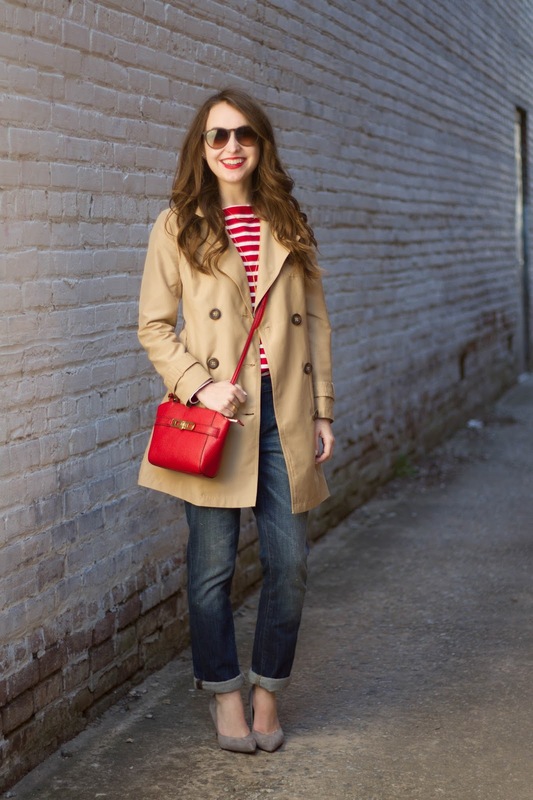 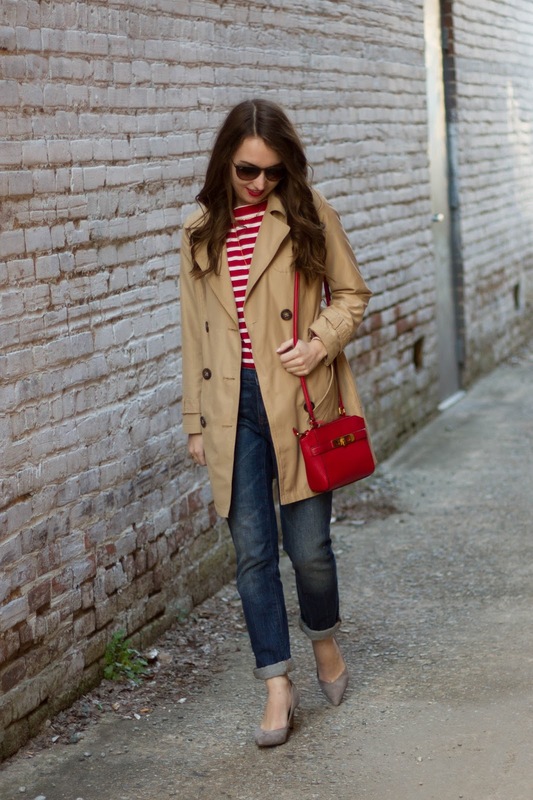 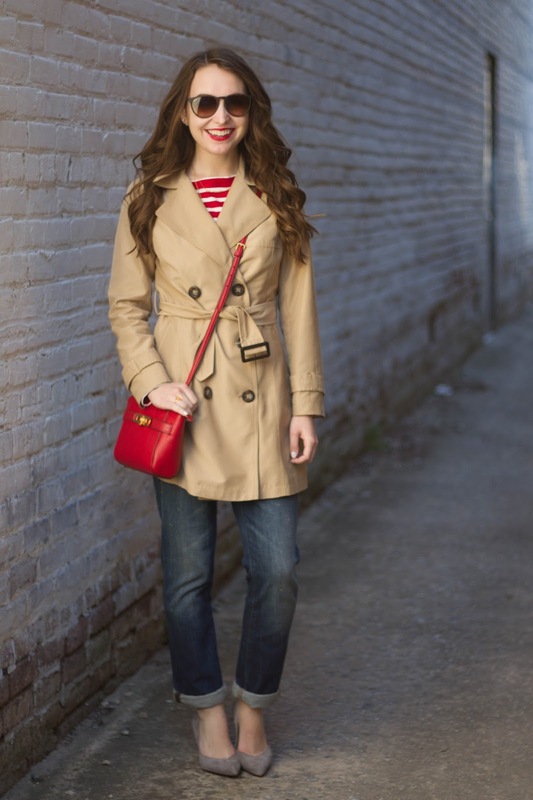 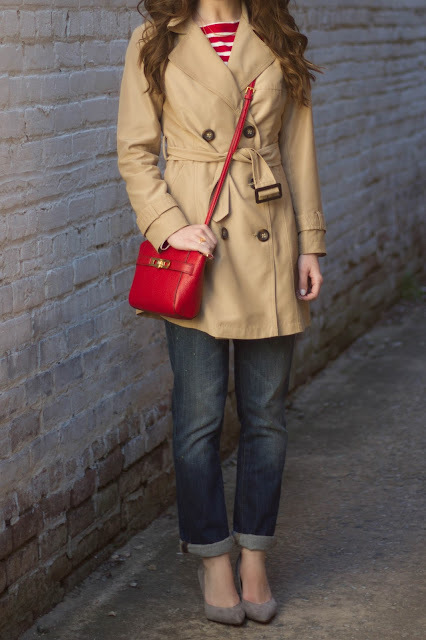 I love these classic elements together - the pops of red, the stripes and the trench coat!